Central to the Alltech and KEENAN offering is InTouch, the pioneering, award-winning system that allows farmers to easily measure, monitor and manage feed efficiency. Find out how Alltech works with dairy and beef farmers to optimise digestion leading to improved animal performance. 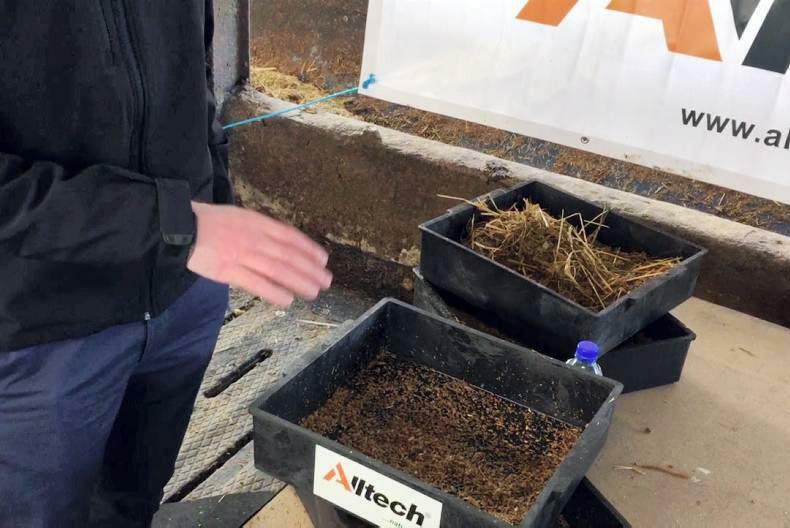 Richard Dudgeon, Beef Specialist at Alltech, demonstrates the use of dung sieves at the Beef Finishing Masterclass at Lisbeg Farms, Eyrecourt, Co Galway on January 30th, 2016. Joanne Buckley who is milking 150 cows near Banteer, Co.Cork discusses how working with Alltech has helped her to save both time and money.